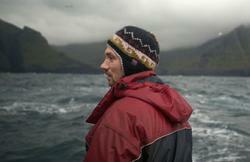 Learn why threats to the whale-hunting practices of the Faroese are a warning to the world. On the isolated Faroe Islands, the longtime whale-hunting practices of the Faroese are threatened by dangerously high mercury levels and anti-whaling activists. Like a canary in the mine, their tale sounds a warning to the rest of the world. POV: The Islands and the Whales airs Monday, October 9, 2017 at 10 p.m. on WXXI-TV.